What is BLS? What does BLS mean? BLS refers to Basic Life Support, a classification of medical care used to treat victims awaiting more advanced medical care. 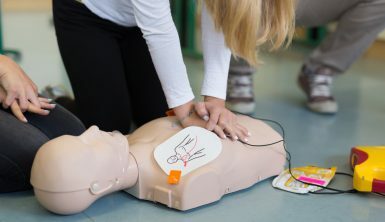 When you hear about BLS certification, it’s usually in reference to training companies offering courses through which they confirm that a student has a thorough understanding and basic competency in BLS. The vast majority of companies offering BLS certification adhere to the prevailing local standards for resuscitation. Circulation – Maintaining a supply of blood to tissues, with a special focus on maintaining the supply of oxygen to key organs throughout the emergency. Airway – Protection and clearing of the airways to allow for the free passage of oxygen and carbon dioxide in and out of the body. Breathing – Respiration via the airway by inflating and deflating the lungs. CAB is crucial to survival in all circumstances, but in emergency situations, a patient’s ability to maintain CAB unassisted is frequently impaired. Basic Life Support generally focuses on the steps necessary to maintain CAB for a patient during a medical emergency via careful positioning, use of CPR, control of bleeding, artificial respiration, and more. According to recent research and the current standards of the AHA, the best mnemonic for this aspect of BLS is CAB, to place the highest priority on circulation. This is because maintaining the flow of blood through the body via chest compressions consistently proves more critical to outcomes than artificial respiration techniques. What is the AHA BLS protocol? A basic approach to providing emergency care for cardiac arrest, respiratory arrest, drowning, and airway obstruction. Designed for use by laypeople, medical students, certified first responders, and higher-level medical personnel under limited circumstances. 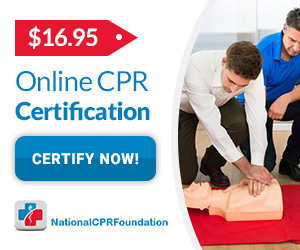 Certification requires completion of a certified BLS course, either online or in-person, though online students will need to complete practical components of the course in person at a later date to acquire their official certification. A requirement or advantage for a number of jobs where first-responder skills are valued, i.e. caregiver positions, teachers, medical assistants. The American Heart Association, its partners, and other providers offer a variety of courses focused on specific aspects of BLS and for refreshers on BLS, but outside of specific requirements from employers or state laws, there is no need for ongoing recertification or continuing education hours. The highest level of healthcare training before beginning Advanced Cardiac Life Support protocols. Training for Emergency Medical Technicians and comparable professionals is focused on rapid-response non-invasive procedures for patients before they reach a hospital. Unlike the AHA BLS standard, the EMT-B training modules go in-depth on any number of medical tools, drugs available to EMTs such as epinephrine, and similar intermediate-level medical intervention. Certified by the National Registry of Emergency Medical Technicians, the test for EMT-B is part of most states’ licensing and certification procedures for professional EMTs. Certified EMTs will need to meet continuing education and recertification standards moving forward, the specifics determined by state laws. This is primarily a form of BLS training focused on medical professionals, though others may still complete the test and acquire certification for any number of reasons. Any EMT-B course will encompass most of the same materials as an AHA BLS course, plus various advanced materials. The American Heart Association has built its BLS protocol with the Chain of Survival in mind, a four-link process to maximize the odds of a collapsed individual’s survival. Early ALS (Advanced Life Support) and care should the patient resuscitate. First responders and bystanders with training in the AHA BLS protocol are trained to complete the first of these four steps in emergency care and may be prepared for further education in ALS and post-resuscitation care. BLS training often emphasizes general first-responder best practices, even above specific medical techniques. For example, the AHA guidelines for resuscitation include a number of steps focused on procuring advanced medical help and securing additional help and responses from other bystanders. E – Consider the environment in terms of weather, physical location, crowds of people, etc. A complete BLS course will cover each of these steps in depth, offering a number of tailored approaches depending on problems identified throughout the process. By following through this procedure, a bystander can give a patient their best possible chance of surviving until advanced medical care can be administered. What situations does BLS training deal with? 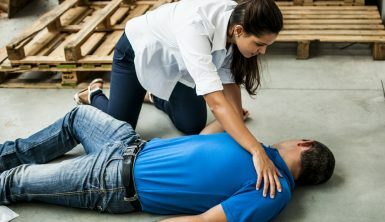 While appropriate for nearly any first-responder dealing with a medical emergency or trauma, BLS training frequently places a strong emphasis on certain common ailments impairing the ability of a patient to perform CAB unassisted. Advanced students or those seeking additional certifications after BLS may advance to courses such as the AHA’s Advanced Cardiovascular Life Support for a continuation on the principles of the AHA BLS courses, or to the Advanced EMT or EMT-Intermediate certifications which follow EMT-B in most states.